✔ 300kg Max Lift Capacity. ✔ Rear or Side Mount Options. 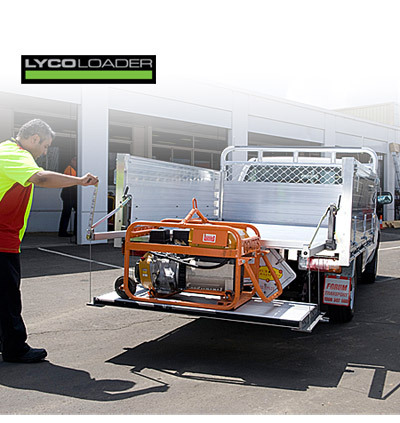 Designed and made in Australia, Lyco Loader makes light work of your heaviest cargo with the power to lift up to 300kg! Lyco Loader weighs 50kg and allows one individual to lift up to 300kg easily. Reduce labour costs while helping you get to the next job faster. With manual operation there are no power devices or hydraulics to fail. The inclusion of an integral brake stops the load at any point. No license required! Unlike cranes and other heavy-lifting devices, the Lyco Loader doesn’t take up precious tray space. And because it replaces your tailgate, your payload capacity isn’t compromised. High quality materials expertly manufactured in Australia to deliver labour saving costs and increased efficiency. Using the supplied crank lifting the Lyco Loader tray simple, fast and efficient. Unlike larger lifting devices, Lyco Loader doesn’t take up valuable tray space. Replacing your tailgate (side or rear), your payload capacity isn’t compromised. With minimal space required, Lyco Loader can be fitted to most trays that are 1695mm or wider by a dealer, or by yourself in around an hour. Plumbers, Farmers, Tradesmen, Appliance Repairers, Couriers, Hire Companies, Removalists and Bee Keepers. In fact it's suitable for anyone that needs to carry a heavy load, the Lyco Loader makes light work of your heaviest cargo. The award winning Lyco Loader only weighs 50kg and easily allows one individual to lift up to 300kg. If your back could talk, it would say 'yes' to installing the Lyco Loader system. 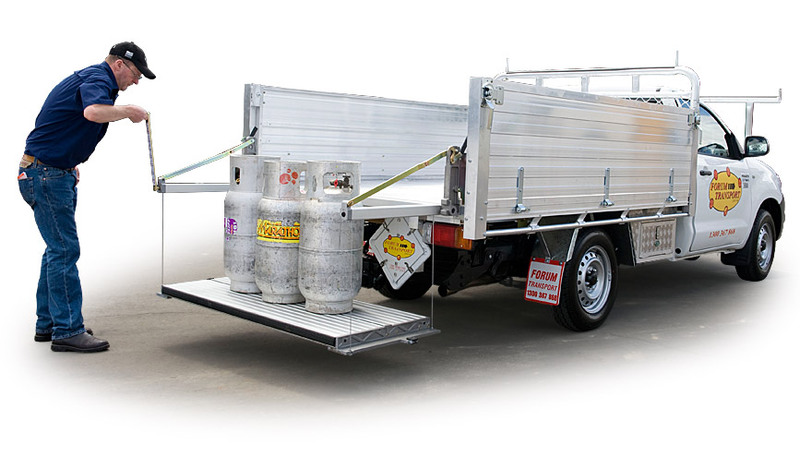 As one of the largest tailgate loader manufacturers in Australia, we cant rely on just one local service agent. We want you to love our Lyco Loader and as much as we do. 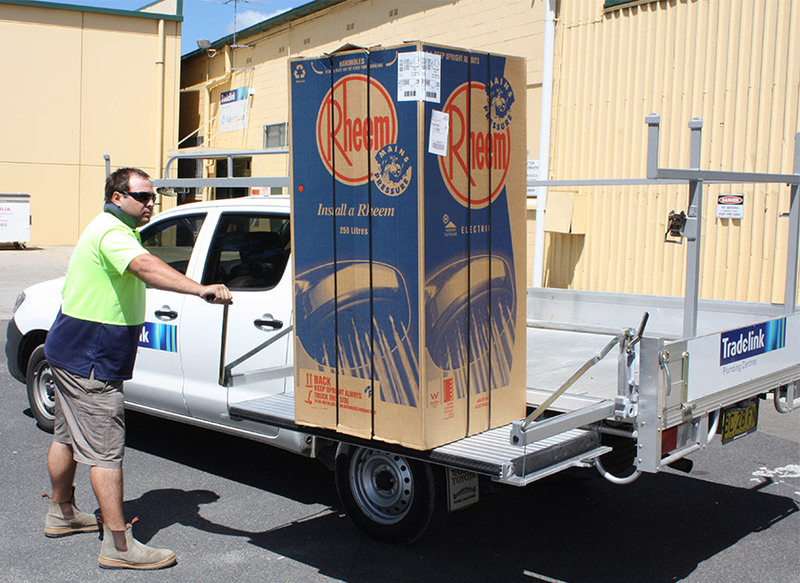 Just another reason why more Aussie tradies are using Lyco Loader. Great product, loads our beehives easily. Highly recommended. Lyco Loaders are a critical asset to our delivery vehicle fleet. The system reduces the strain on staff, which increases our production rates significantly - helping us get to more deliveries ahead of the competition. 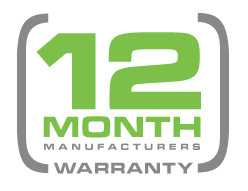 We’ve used many different tailgate manufacturers and designs over the last 15 years. But since we discovered the Lyco Loader in 1999, we’ve never looked at using a different tailgate loader. The Lyco Loaders are essential to our business, and they give our company the edge against our competitors.